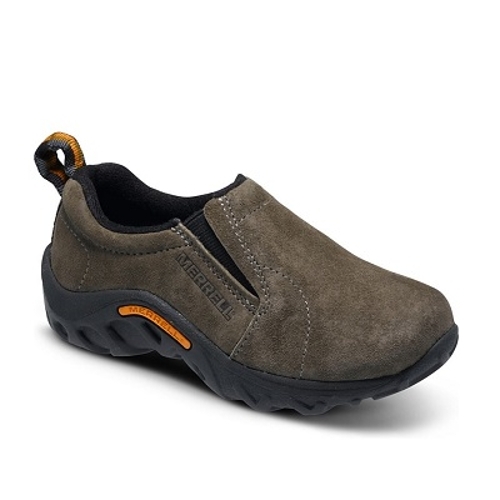 MERRELL. J95635. BIG KIDS JUNGLE MOC. GUNSMOKE SUEDE.Casual comfy and ready for anything the Jungle Moc will easily become your child s favorite. And not just because they slip on easily and feel as comfortable their favorite slippers. Or because they have a great sole that grips when they need to. But because whether they are headed to school a party or just running errands these shoes are up to the task and will last until you have to insist on a new pair.